Kenna James, ranked as high as 38th in the world of poker, has won over 20 championships, totaling nearly 4M in lifetime earnings. His biggest win was in the LA Poker Classic for $250k, and his biggest cash was 2nd at the Party Poker Million 10k Limit Hold-em event in which he received $700k. He coaches and trains players to better their game both on and off the felt as a personal poker-life coach. He started coaching and training others in 2005 with the WPT Boot Camps. He uses Advanced Poker Training extensively in his private training with his clients. From Kenna: "It's not the cards you're dealt, but how you play them that counts! How someone lives their life has a lot to do with how they play the game. The difference between winning and losing comes down to developing the courage to confront our personal challenges." Mike Caro, "The Mad Genius of Poker", is regarded as the world's foremost authority on poker strategy, psychology, and statistics. 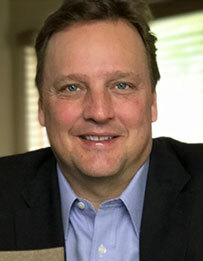 He is a noted gambling authority, industry consultant and spokesperson, and author of seven books, including Mike Caro's Book of Tells — The Body Language of Poker, one of the most widely quoted books in the history of poker. He also contributed 50 statistical tables to Doyle Brunson's classic book, Super/System. 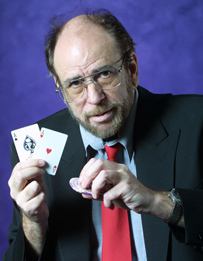 One of the original pioneers in poker theory and computerized poker intelligence, Mike Caro shocked the poker world in 1984 by demonstrating his poker playing computer program at the World Series of Poker. His gambling research, philosophy, and programming achievements have been credited or featured in more than 50 periodicals. From Mike Caro: "I fully endorse the Advanced Poker Training simulation software. In fact, I use it extensively in tutoring students. Please note that my poker advice often differs significantly from the advice provided within APT, especially by other coaches — who offer a wide spectrum of poker thought." "The poker books are being re-written tonight; poker will never be the same!" The 2016 World Series of Poker Main Event Champion, Qui Nguyen's exceptional play at the final table made him an instant sensation, and caused Antonio Esfandiari to remark on ESPN, "I couldn't get a read on this guy if my life depended on it." Advanced Poker Training helped Qui Nguyen prepare for the WSOP final table, after a computerized simulation run by APT correctly predicted that Qui would win the championship. APT produced an interactive poker game via which Qui could play out the final table over and over, against virtual opponents programmed to behave like his real opponents. Qui Nguyen is known for his aggressive poker tactics, and of course, his signature Rocket Raccoon hat. He was born in Vietnam, but honed his skills in high-stakes cash games in his hometown of Las Vegas, where he picked up the nickname TommyGun. From Qui Nguyen: "When I play poker, the cards don't matter. I play the player. I don't play like the poker books say. I like to turn the book upside down. Play the opposite of that. Confuse people. They don’t know what to make of me. That’s what I want." 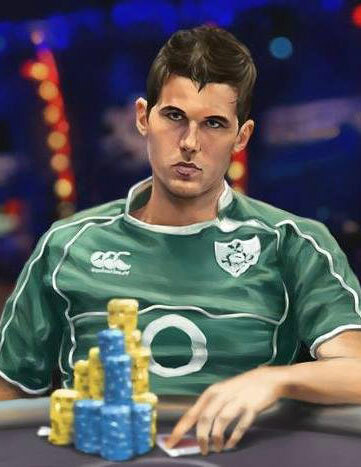 Jonathan began playing poker with his friends at a young age and started playing online once he was 18. After two years of playing online while attending the University of West Florida, he decided to focus full-time on poker. He started traveling the tournament circuit when he turned 21 while continuing to play online. In 2007, he made the final table of the PokerStars Caribbean Adventure main event, earning him his first six-figure cash. By 2008, Jonathan earned his second WPT title, becoming the youngest person ever to do so. He's also played in the NBC Heads-Up Tournament, earning $75,000 for his fifth place finish. He has nearly 6 million dollars in lifetime tournament earnings. Now, Jonathan runs FloatTheTurn.com, where he offers coaching, videos, and training webinars. He is also the author of six best selling poker books: Excelling at No-Limit Hold'em, Secrets of Professional Tournament Poker Vol 1-3, Jonathan Little on Live No Limit Cash Games, and Positive Poker. When he is not traveling the live poker circuit, he resides mostly in Las Vegas and New York. Jonathan recently hosted four live seminars in Las Vegas during the World Series of Poker, with an awesome lineup of poker/mindset coaches. From Jonathan: "I am thrilled and excited to be able to share my insights using Advanced Poker Training's programs. I have already learned a lot from the quizzes and I am sure you will too." Known as The Prince of Poker, the name Scotty Nguyen actually transcends poker -- he is one of the most well-recognized faces in Las Vegas. His legendary career includes 100s of major tournament cashes over the last 25 years, totaling nearly $12 million dollars. Scotty has 5 World Series of Poker bracelets, including the 1998 Main Event Championship. He perhaps treasures his win of the $50,000 H.O.R.S.E. event at the 2008 World Series of Poker even more so. Born in Vietnam, Scotty relocated to California at the age of 14. He later moved to Las Vegas and began to make a name for himself in the poker world. Still residing in Las Vegas, “The Prince of Poker” shows no signs of slowing down, and his poker game is perhaps better than ever. His instinct for poker is unmatched. From Scotty: "When you play tournaments, it's not like a cash game. You can't just buy more chips. Every chip counts, so you have to play smart on every hand. Be patient and wait for the right spot, and then, you know what to do -- All In, Baby!" 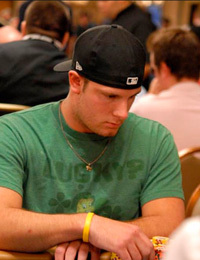 Alexander Fitzgerald is a professional poker player who currently resides in Newark, New Jersey. Born in Kodiak, Alaska, Alex ran away from home in high school to pursue a life uniquely his own. Before he turned pro at age 18, Alex balanced working as a freelance writer, landscaper, security guard, fast food employee, Persian carpet mover, and commercial fisherman with graduating from Inglemoor High. After Alex took the plunge in 2006, he amassed $4,000,000+ in tournament earnings while spending years living in South Korea, Malta, and Costa Rica. After winning WCOOP and SCOOP events and final tabling EPTs and WPTs, Alex pursued a full-time career in poker coaching, opening a consultancy that worked with thousands of different clients. He published the book The Myth Of Poker Talent, which a reviewer at Part Time Poker hailed as "...the best poker book I have ever read. And I really don’t even think it’s close." From Alex:"What separates me from other coaches is my work ethic. I wasn't even the best card player in my high school. I had a negative ROI in the first 1,000 tournaments I played online. But I worked harder than everyone else to get to where I am at today. I can teach people in an easy-to-understand fashion because at some point I had to teach myself the same concepts...and I am no savant who will understand a concept on the first explanation. Thankfully, that allows me to communicate complex subjects in a clear way to my clients." Scott Clements’ results speak for themselves. He is one of a select group of players having the distinction of 2 World Series of Poker bracelets, and 2 World Poker Tour titles. With over 6 million dollars in live tournament earnings, Scott has been a force in the poker world for nearly a decade. His biggest live cash was at the WPT North American Poker Championships, where he won $1,505,312. He also took 18th Place in the 2010 WSOP Main Event, for $396,967. Online, he's won the Sunday Million for $190,000, 10k High Roller Heads-Up for $350,000, and SCOOP for $263,000. He hails from the Pacific Northwest (Mt. Vernon, Washington), but travels the tournament circuit relentlessly across the U.S. and abroad. He has over 100 documented cashes in major live tournaments since 2005, and nearly 500 more cashes in online tournament action. His solid, dedicated approach to poker, coupled with his drive and tenacity make him one opponent you won’t want to face. From Scott: "You can win in poker using many different styles of play. Focus on playing to your own strengths and you will have the best results." From his hometown in Las Vegas, the always entertaining David Williams has been at the top of his poker game for over a decade. He has nearly 100 cashes in the past ten years. He is most famously known for his second place finish to Greg Raymer in the 2004 World Series of Poker Main Event. He picked up $3.5 million dollars in that event. In 2010, David won the WPT World Championship, defeating Eric Baldwin heads-up and winning over $1.5 million. He is now approaching nearly $9 million dollars in lifetime cashes. Most recently, David got to showcase his broad range of talents by appearing on the cooking show MasterChef. He had a total of six wins on the show, and was one of three contestants to make the finals! Ed has been playing and coaching poker for a living since 2003. He has written eight best-selling poker strategy books. His books have sold over 250,000 copies. He's also a columnist for Card Player magazine. Ed holds degrees in both Physics and Electrical Engineering from MIT. Ed's focus is on live cash games. He believes that with the proper instruction and a willingness to do the work, nearly anyone can learn to win consistently in $1-$2 and $2-$5 cash games. His goal is to take average, recreational level cash game players and turn them into professional-level players. Ed Miller knows that there's a sea of information about how to improve at poker, and it's often hard to see the forest for the trees. He focuses on teaching first the most important ideas to make learning simple and improvement as rapid as possible. From Ed: "The formula to play winning poker is simpler than many people think. Simple, but not necessarily easy. You need to focus on learning a few critical skills and then practice, practice, practice them to mastery." Over the last 6 years, James has coached just shy of 500 students, sold 1,000’s of videos, and released hundreds more for free. After having solid success with his personal site www.splitsuit.com, he partnered with Ed Miller, Doug Hull, and Christian Soto to start up RedChipPoker.com. Now he’s excited to share his knowledge at APT using this exciting medium! James began playing poker in college during his freshman year at Syracuse. Over the next 4 years he worked tirelessly to be the best at SNGs and MTTs, and eventually PLO and PLO8 cash games. After some convincing from friends, he transitioned to NL and never looked back. After graduation he moved to Las Vegas and continued grinding both online and live games. James started coaching in 2008 due to his love of sharing knowledge and giving back to the community. After having success in coaching he decided to write a book, and 8 months later Dynamic Full Ring Poker: Beyond The Basics was completed. The book continues to be a staple for any full ring player and motivated James to start sharing more of knowledge, this time through videos. From James: "Your poker strategy is like a boat. My job as a coach is to analyze that boat for leaks, broken compasses, and inefficient weight. You don’t need me if you just want to stay in the bay, but you’ll want me before you venture off to sea." Coaching Rate: $100/hr. $50 - video review of a 200 hand APT session. Bootcamps available. Doug wrote the very popular book Poker Plays You Can Use -- Sample here -- Purchase here. From there Doug co-founded the Red Chip Poker video training site. Doug is a prolific video maker in the world of Engineering through the first MATLAB blog for MathWorks. He has taken those skills to poker training. Doug has been playing mostly at Foxwoods and Mohegan Sun while grinding it out as an engineer 9-5. Doug is a live player and that is what he coaches. Doug's strength is in his ability to teach and communicate clearly. He has been instructing and lecturing in the engineering world for over twenty years. From Doug: "The best ideas and concepts are meaningless if not understood, and dangerous if misunderstood." From a student: "Just wanted to thank you. Due to you, I often find myself at a table where I feel like an NFL team against a weak college or strong high school team." Review of Poker Plays You Can Use: "Putting things together in bite-sized chunks in terms of how-to-exploit-this-situation is genius. The true magic is in the organization and presentation. Doug Hull knocked this one out of the park." Lauren studied Engineering and Business at The University of California, Berkeley. During her senior year, she taught a Poker and Blackjack Class. After graduating, she moved to Las Vegas to play poker professionally. She primarily played online and had her breakthrough in the poker world when she earned $163k in the UBOC 4 Championship. Since then she has had many other big cashes live, including a 7th place finish in the WPT South Africa High Roller, 14th in WPT Festa Al Lago, several deep runs in WPT LAPC, two deep runs in the WSOP Main Event including 272 out of 6500 people in last year's Main. She has achieved wins and final tables in several online major tournaments including: the $100 rebuy, 1k Monday, $150 rebuy, Super Tuesday, Sunday Mulligan, and $100 1r+1a. Most recently, she won The WPT South Africa Ladies Event. Lauren was sponsored by Ultimate Poker, formerly the largest online U.S. cardroom, and is a RunGoodGear Team Pro. She has also served as a WSOP Analyst for NBC, and was included as one of the original WPT “One’s to Watch” list of rising stars. When Lauren is not on the felt, she enjoys traveling, coaching leadership and self development classes, community service projects, health, and fitness. From Lauren: "Understanding and being able to adapt accordingly to different learning styles is crucial, as each student has a different way he/she learns. It is up to the coach to figure out and maximize on that student's potential by providing a constant mixture or challenges and encouragement. When I commit to coaching someone, I give them 1000%, so if you are committed to excellence, success, and extraordinary results, you're in the right hands." Playing under the screenname 'TitanTom32', Tom has nearly $3 million dollars in documented online winnings alone. Living in South California, he's no stranger to live games as well. Tom's strengths as a player/coach are postflop play, preflop ranges, table flow and psychological edges. With over 5 years of coaching experience, Tom coaches by Skype (or similar), Hand History Review, Email, Instant Message, TeamViewer (or similar), and Group Sessions. He coaches both cash and MTT players, and he coaches all levels, from High Stakes to the Micro-Stakes. From Tom: "Some players are very good, but don't really know how to coach well. I feel that I am very good at explaining concepts, rather than how to play hands in order to progress a player's skills fully. I can teach you how to fish, rather than feed you. I really enjoy coaching, maybe even more than I do playing. I enjoy helping people get better and I am willing to put in a lot of time with my students."